We did this as an experiment, broadcasting the segment using Facebook Live Video (meaning that some people tuned in while our meeting was under way). I thought might capture the attention of some of the morning people out there who would be looking for something interesting during our meeting time — and therefore might be more likely to stop by one of our meetings. 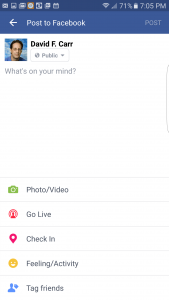 The Facebook Live Video service is built into the Facebook mobile app. If you tap the status icon, you will see “Go Live” as one of the alternatives to typing a message. 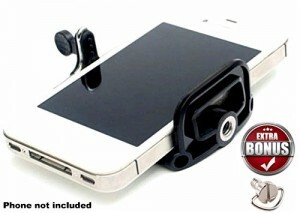 The app uses your smartphone camera. I toggled it from the default selfie view to use the back-facing camera and secured the phone to a tripod using a cheap clamp I bought a couple of months ago (see below). One thing I have found a little tricky is that with my Android phone the video only works properly if I position the phone vertically, whereas my instinct is to turn it horizontally (for a widescreen more TV-like video). However, Facebook actually squares off the picture, so you don’t get that vertical video effect that always looks funny to me. 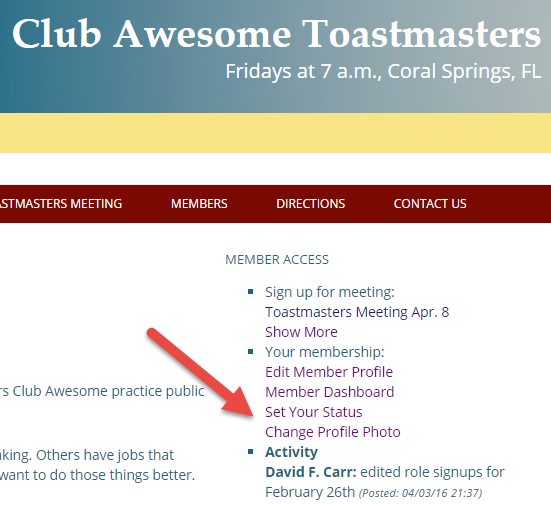 Club Awesome uses a WordPress-powered website that makes it easy to add video (see my WordPress for Toastmasters site). To embed the video into this post, I just pasted in the link for the video into the WordPress editor, and WordPress automatically embedded the video player (similar to the way it works with YouTube video). The easiest way to find the link for the video is to click on the timestamp of the associated post. Our club officers are talking about doing this more often with the speeches of the more confident members. Meanwhile, we will continue with our practice of routinely recording video of member speeches. The difference is those are shared privately for educational purposes, albeit with the possibility of publicizing some of the best, with the member’s permission. When you do Facebook Live Video, you’re committed! 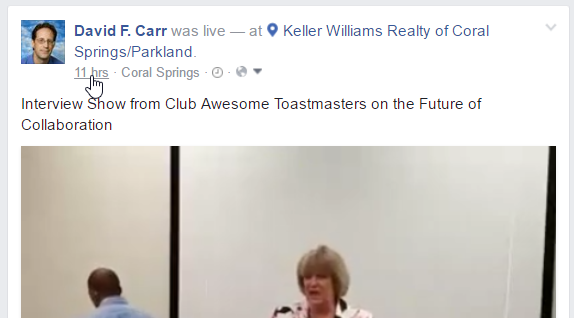 There is no opportunity to review the video before it is broadcast, and Facebook provides few editing controls. If you are really unhappy with how the video came out, you could always delete it so it won’t continue to be available for replay. But Toastmasters are supposed to be brave! Live a little and Go Live with Facebook. I’ve made a few changes to the website, which I hope members will find to be improvements. 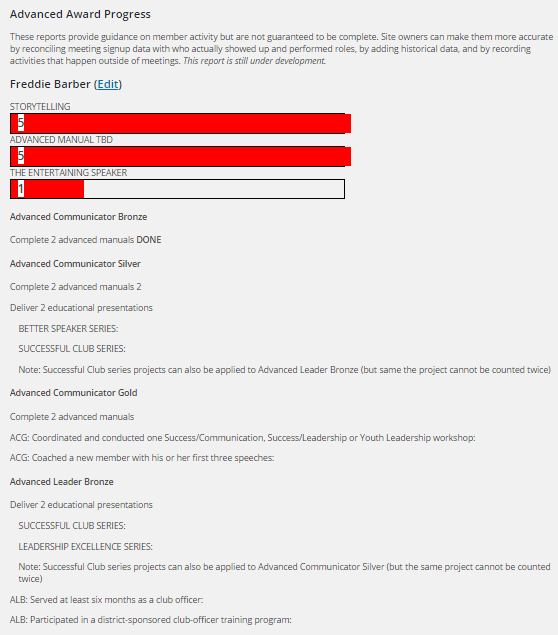 Some of this as a result of feedback I’ve gotten from officers at other clubs, through the WordPress for Toastmasters open source software project derived from the website customizations originally created for Club Awesome. One club webmaster in particular wanted to experiment with using BuddyPress, which adds social software features to a WordPress website. One thing we get by adding that to clubawesome.org is a better way of adding profile photos, along with more Facebook-like member profile pages. I figured out a way of adding events like “signed up for Speaker” to the social news feed. This also replaces the earlier “update your status” feature on the members page. On the Member Access widget in the upper right hand corner of the website, a couple of new links are now displayed to “Set Your Status” and “Change Your Profile Photo” (only visible when you are logged in). Please take this opportunity to add a photo to your member profile if you haven’t done so before now. 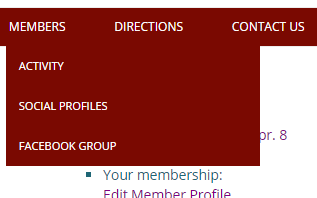 There is also a drop-down menu under Members that points to the BuddyPress feeds and profiles, as well as our Facebook group. 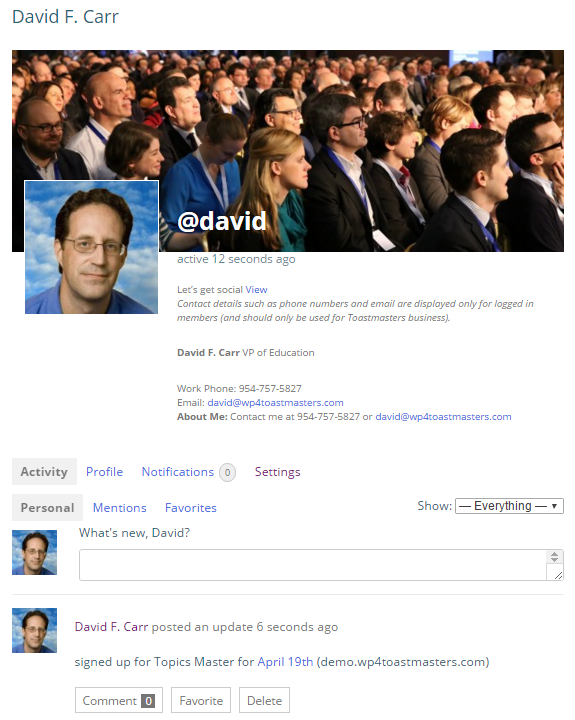 Here is what the social version of a member profile looks like, with the profile picture and “cover picture” set. If you go to the member dashboard, you will see some other changes. The new Toastmasters menu includes a report for progress toward Advanced Awards, in addition to the Competent Communicator and Competent Leader progress reports. I have worked on trying to clean up some of the data, but you can help make it more accurate by signing up for speech roles online and making sure the manual and speech project are specified. Take a look at the changes and let me know if you agree they are improvements.